A whopping 9+ pounds, our MaxSupport Deluxe Round Bolster is the heaviest bolster available! This extra dense bolster, available in five gorgeous colors, is the perfect support your yoga practice. 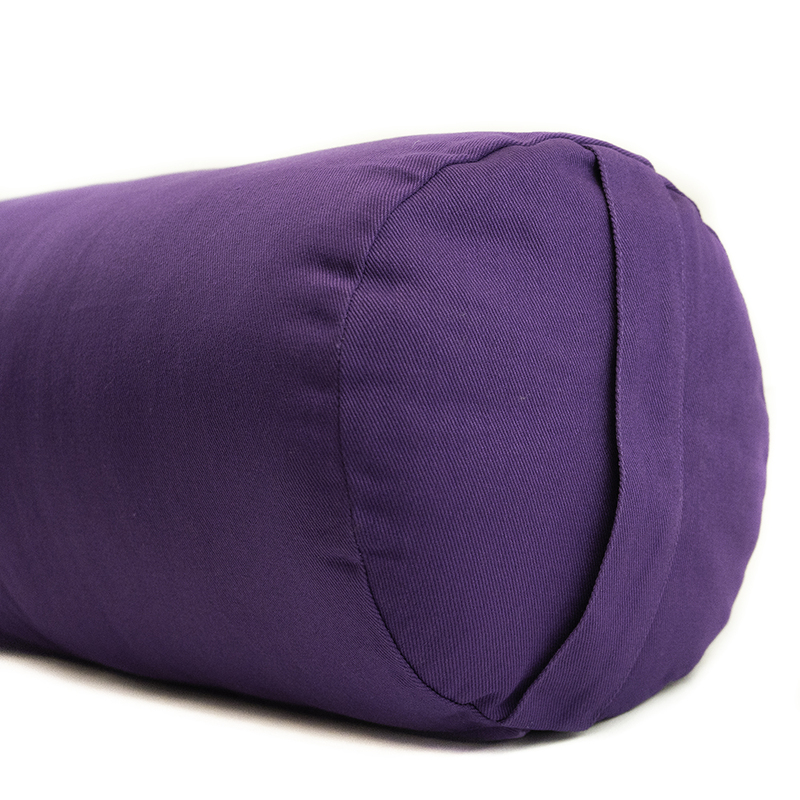 Your yoga bolster should be firm enough to support you in challenging poses, yet, easy to maneuver on the mat. Made with 100% natural cotton, you will find that this MaxSupport Deluxe Round Cotton Yoga Bolster is firm enough to provide full support, yet quite soft and comfortable. While lying down, place a round bolster under your back and shoulders to help open up the chest. Use one in seated poses to prevent clenching of the abdominal during forward bends. The Deluxe Round Cotton Yoga Bolster is 28 x 10'', and has a zippered opening to adjust the amount of filling (or remove it to wash the cover). The quality is great.It is firm, but not as heavy as I thought. I love it! Love these! I tried them at a yoga center and loved it so much I had to buy one! They were kind enough to direct me where they got theirs. The quality of this bolster is great. It has helped me a lot in my practice with restorative poses. Just what I needed! I should have gotten my tape measure out - this is definitely too long for my liking - but if you are tall you'll likely love it. It says Max Support, but I think it's normal support. Not hard - just okay. I first used this at The Yoga Shack in Bethpage, NY. My instructor Michelle DeNicola showed us how to stretch our lower back using it and mentioned how it can be used while sleeping to support your legs. So, I ordered it. I absolutely LOVE it. My back now feels better every morning. I HIGHLY recommend this. The bolster lives up to my expectation. It is firm, durable and very well made. I think that it will last for many years. It's a quality product! I'm very pleased with this bolster. It's very well made and the material used for the cover looks very durable. The firmness is great - just like the ones used in the yoga studio I attend. when they say firm, they mean it! this sucker is heavy and very firm. i have had problems finding firm pillows but this baby is perfect. but there is very nearly no give to it so if you want a softer feel you might look at the milder version. the cover is of excellent quality. i got a spare to rotate and have one when the other is being washed. i am very impressed for now. the cover is strong but you really have to pull it over the pillow hard and i am not sure how long it will hold out. I am pleased with the quality of the bolster. However, I probably should have gotten the rectangular instead of the round. Also, I got the largest, which probably wasn't the best for me. I guess I'll just take out some of the cotton. I've been travelling, so haven't had the opportunity to try it out much. I'm sure, however, that it'll last a long time, as it seems very durable.